Do you play golf for Fun or Ego? 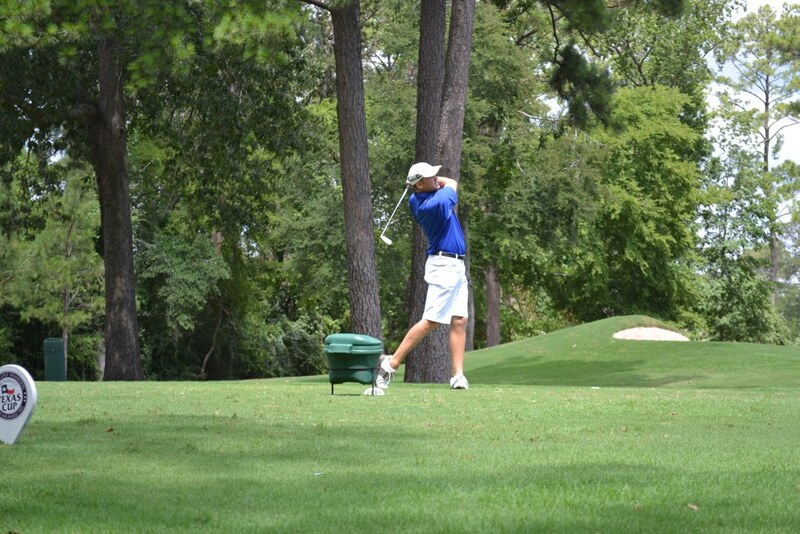 Last weekend, I was 2-under par through seven holes at Walden on Lake Conroe. I eagled the first hole with a 186-yard 5-iron shot that bounced once and disappeared. on Lake Conroe. For a while, anyway. ﻿I birdied the par-5 second hole, too: 3-wood, 4-iron, lob wedge to six feet. I was on fire, 3-under through two holes. My good friend Tony just laughed. I convinced him to play the white tees, which are 6,248 yards. Yeah, that’s short. But have you played Walden on Lake Conroe? Its defense is not length—the tips are only 6,756 yards. The beautiful, lakeside course has tight, tree-lined fairways, smallish greens and more doglegs than my dad’s kennel of German shorthairs. Point is, it’s hard golf course. The Women’s Texas Amateur will be played there at the end of the month, and I’ll be surprised if there are many red numbers. Tony and I have a long-running debate. I like golf to be fun. He likes it to be hard. To his credit, Tony is a strong player with a compact, powerful swing. He keeps a 4.9 handicap index at the Dye Course at Stonebridge Ranch Country Club in McKinney. That’s only the hardest course in Texas. He’s won the club championship in his flight two of the past three years. He’s really good. He’s also an Ego Golfer. He enjoys playing the hardest courses, the longest courses. He’ll tell you he has fun playing hard golf courses. I get that. My point is golf could be even more fun if it wasn’t so hard. We’d play faster, too. Compared to Tony, I’m a hacker. I carry a scrambling 8.4 index at Memorial Park in Houston, which isn’t exactly Bethpage Black from where I play it at 6,500 yards. But I don’t care. I’m a Fun Golfer, or try to be. I want to chase birdies. I want 7- and 8-irons into par 4s. I want a chance. It’s not like I don’t have an ego, though. I’m not immune to Ego Golf. Every so often, I test myself from the back tees (usually with pathetic results). 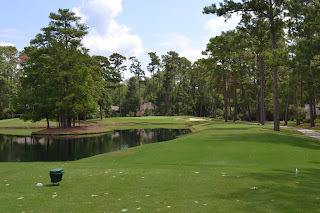 I recently played Ross Bridge on the Robert Trent Jones Golf Trail for an Alabama travel story I’m writing for Houston Links and DFW Links magazines. Ross Bridge is the third-longest course in the world at 8,191 yards (that’s the length of 246 football fields). It’s an amazing course with plenty of 70- and 80-foot elevation drops. The views are stunning. They played a Champions Tour event there from 2005-10. 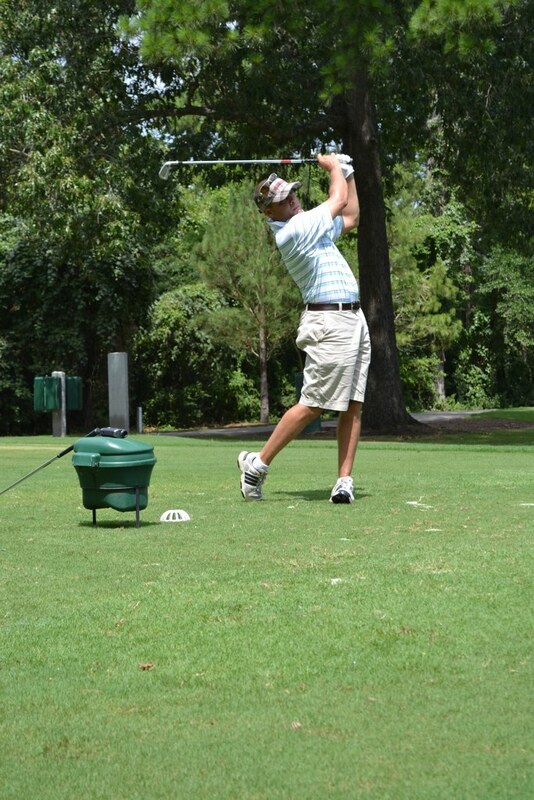 I buckled up and played it with the pro from one set of tees up from the tips at 7,446 yards. I played well. Even with double-bogeys on 17 and 18, I shot 88. But I’m not sure I’d call it “fun” ... not if I played from those tees every time, anyway. It was too much work. Too much driver, 3-wood to get close to the greens on almost all the par 4s. There’s no doubt that the beauty and condition of Ross Bridge made for a breathtaking, memorable experience. When I go back, however, I’ll play it from 6,700 yards or less. That will be fun. Maybe I’ll even make a birdie. 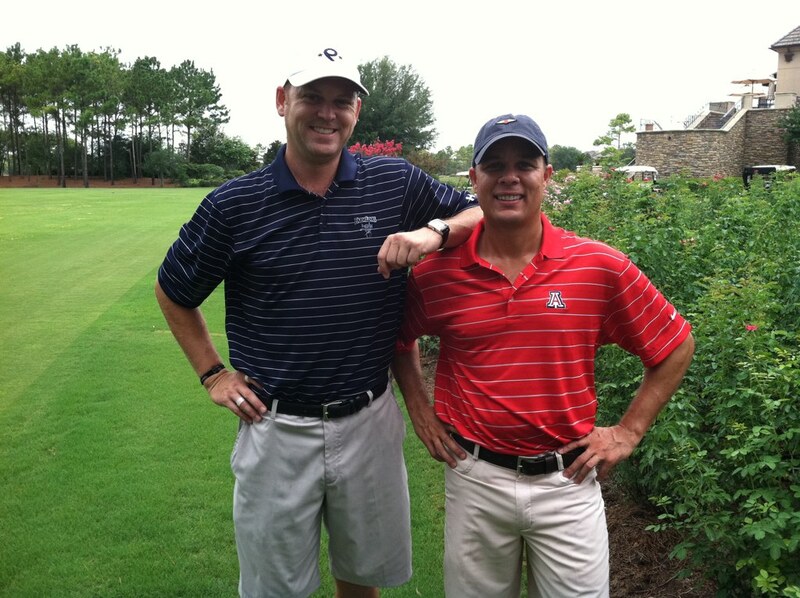 Two knuckleheads at Royal Oaks CC. So last weekend, Tony came down to Houston for 36 holes. We started at the immaculate Royal Oaks Country Club. I’ve played this Freddy Couples-designed beast five or six times. It’s always in the exact same shape: absolutely perfect. Tony picked the tees. All Ego. We played one set from the back, 6,733 yards. I was surprised he didn’t lobby for the tips. We had exactly zero birdies between us on the day. It was driver, 4-iron or driver, hybrid for much of it. We didn’t play well, and the length off the tee didn’t help. Aside from the flawless condition of the course and the fact that NFL players Vince Young and Selvin Young played in the group ahead of us, it wasn’t very memorable. Not because of the golf course, but because we didn’t scare up many looks at birdie. The next day at Walden, we scooted up. The PGA of America had a July initiative called “Tee it Forward” to try and get golfers to play from appropriate tees relative to how far they hit driver. It’s a novel concept. Golf is hard enough without stretching the course to unrealistic lengths. This attitude of, “We paid for the whole course, so we should play the whole course” has become an epidemic. It’s slowing down the game and often leads to frustration (and double bogeys). That’s no good for anyone. The beautiful par-3 sixth at Walden on Lake Conroe. If Ego Golfers could relax a little and move forward one set of tees, they might have more fun. Golf is a game, after all. It’s supposed to be enjoyable. Five holes later I was still 2-under par. Playing my best golf of the year, absolutely in the zone. I felt invincible walking up to the eighth tee. No. 8 at Walden is a gorgeous, downhill, dogleg-left par 4 that touches a small inlet of Lake Conroe and has an Augusta-like green with 10 feet of elevation from back to front. 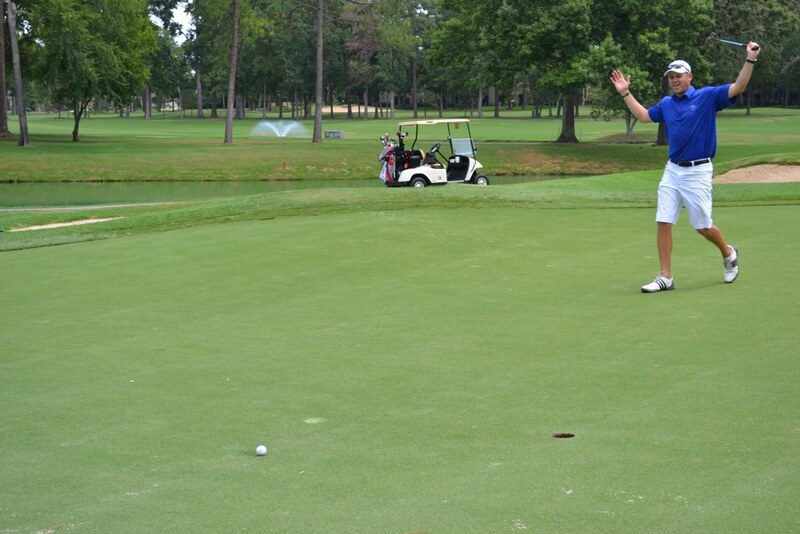 “This is one of my favorite holes in all of Houston,” I said. Then I promptly sliced my drive out of bounds. Re-teed and almost killed the cart girl with a snap hook. Hack, hack, putt, putt, putt. 7 on the eighth hole at Walden. Next hole, made another 8. The 466-yard, uphill par 5 has OB left and water right. I pull-hooked my drive over the trees and into someone’s backyard. In less than 25 minutes, I went from 2-under to 5-over. I could only laugh. My game was solid for about 90 minutes. Then it crumbled worse than LeBron James in the fourth quarter. That’s golf. It was fun. Tony birdied once on the front and again on the back. I made par on the difficult, double-dogleg par-5 11th. You’ve seen that hole in the aerial photograph used in membership ads for Walden. Charlie Epps calls it the “best par-7 in Texas.” A five on that hole feels like a birdie. I can now say that from experience. At Walden, instead of reaching for the big dog on every tee box, we actually had to look at the hole and (gasp!) think about whether to hit driver, 3-wood or even hybrid. Sometimes we forget that golf is game. It’s supposed to be fun. Put aside your ego once in a while and play a new set of tees. Scoot up. You’ll see the course in a different way, hit different clubs into par 3s and put yourself into better position to make birdies. The Final Round - No Pressure, Right?